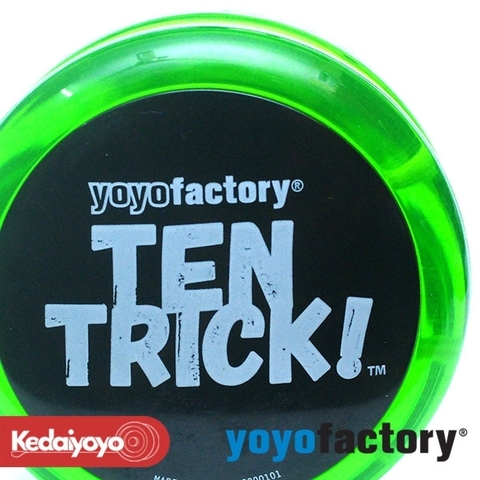 Home › YOYOFACTORY Ten Trick! You&apos;ll be twirling like a pro with the Ten Trick Yoyo from the YoYo Factory. 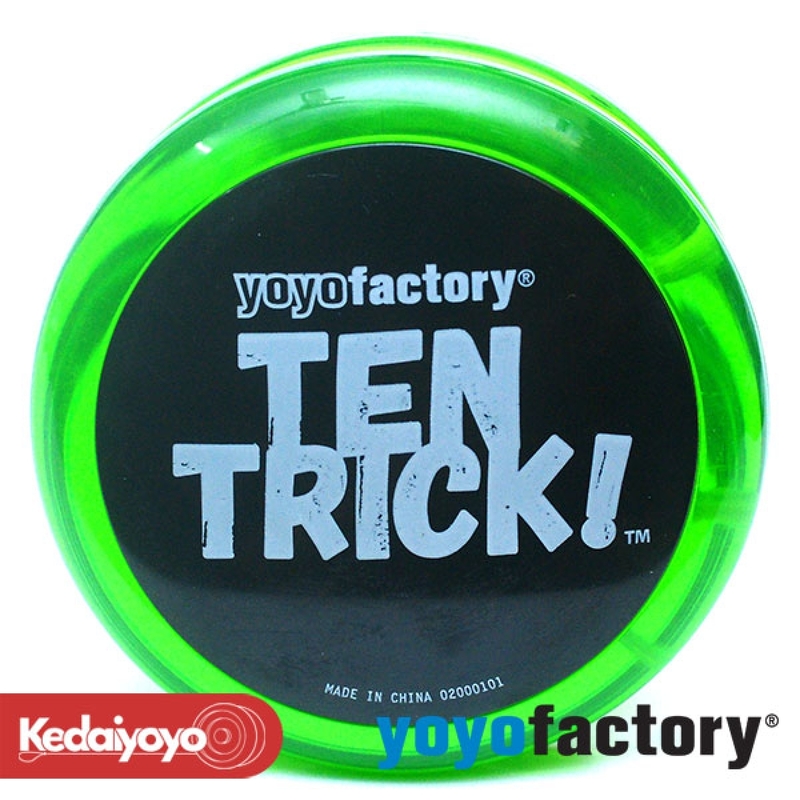 Ideal for beginners, the Ten Trick Yoyo features a high speed plastic bearing for smooth spinning. The looping shape also means it fits easy in your pocket.